A qualified production company shall be entitled to a 25% rebate of all state certified expenditures and 35% of all payroll paid to residents of Alabama for the state certified production. Production expenditures for a project must equal or exceed at least $500,000 but must not exceed $20,000,000. Alabama is an atmosphere so stimulating diverse filmmakers find it hard to resist being captivated by its charms. It is a state, which has forever nurtured giants of literature, music, art and theater. Alabama is a stunning contrast of environments - the most biologically diverse place in America outside of California. The past still lives in Alabama's cities and towns, while space-age technology and modern industry flourish. With legendary southern hospitality, Alabama has catered to everything from small, independent shorts to massive Hollywood film productions. Let us demonstrate to you the countless advantages of filming in Alabama. Contact the Alabama Film Office today. New Mexico continues to offer one of the most competitive incentives package in the industry which includes a 25% or 30% Refundable Film Production Tax Credit and the Film Crew Advancement Program. The Albuquerque Film Office offers free dependable assistance to filmmakers. The Film Office serves as a liaison with City agencies and assist in obtaining locations, equipment, and hotel accommodations. Albuquerque has experienced crew, talent and a mix of diverse locations readily available. Please contact us for rebates and incentives. We have a large portfolio of possible locations and can provide you with advance location scouting to assist you in finding the perfect location for your project. Relocating Television Series (any episode length) that filmed its most recent season (minimum 6 episodes) outside California. $1 million minimum budget per episode. Credit is reduced to 20% after the first season filmed in California. Independent Films: $1 million minimum budget; credits apply only to the first $10 million of qualified expenditures. Feature Film: $1 million minimum budget; credit allocation applies only to the first $100 million in qualified expenditures. Out-of-zone filming - Expenditures relating to original photography and incurred outside the 30-Mile Studio Zone (pre-production through strike). Eligible expenditures include qualified wages paid for services performed outside the Zone, and expenditures purchased or leased and used outside the Zone. Visual Effects - To qualify, visual effects work must represent at least 75% of the VFX budget or a minimum of $10 million in qualified VFX expenditures incurred in California. The Amador County Film Commission is the acting liaison between film companies and the County of Amador, and the cities of Amador City, Ione, Jackson, Plymouth and Sutter Creek. Nestled in the heart of California's Mother Lode, Amador encompasses 593 square miles stretching from the floor of the San Joaquin Valley to the 8,000+ foot peaks of the Sierra Nevada mountains. Our many natural attributes are numerous, from gently rolling foothills to rugged granite vistas, from sprawling ranchlands and lush vineyards to scenic lakes and rivers... few other California counties offer such a variety and wealth of natural beauty! The Texas Moving Image Industry Incentive Program (TMIIIP) is designed to build the economy through the moving image industry and create jobs in Texas. TMIIIP provides qualifying film, television, commercial, visual effects and video game productions the opportunity to receive a cash grant based on a percentage of a project's eligible Texas expenditures, including eligible wages paid to Texas residents. Grants vary by budget levels and types of productions, and are issued upon completion of a review of the project's Texas expenditures. This incentive program is in addition to Texas' Sales Tax Exemptions. The Amarillo Film Office is committed to provide assistance to production companies that are interested or have chosen the city of Amarillo for a project. The Antelope Valley is a ''RECEPTION COMMUNITY'' to the film and entertainment industry. Under the leadership of Pauline East, North Los Angeles County Film Liaison; with the blessings of our elected officials; and with the involvement of local businesses, residents, schools and other organizations, the Antelope Valley as a reception community has one attitude toward the film industry: WELCOME TO THE AV! Whether you are looking for friendly and accommodating location owners or a great place to relax after a long day of production, you will find the right spot in the Antelope Valley. We have several databases of Locations, Crew, Talent and Resources at this website so you can quickly find locals that are enthusiastic to help make your production a success. Arkansas was the first state in the union to offer a financial incentive to attract production--the nickel rebate. While that pioneering incentive has more than tripled in the thirty years since it was introduced, Arkansas remains a nimble and innovative partner in materially impacting productions' bottom lines. The Arkansas Digital Product Motion Picture Rebate is 20% on goods and services, with an additional 10% (30% labor rebate) for Arkansas crew base. This is a rebate, not a tax-credit. While we have competitive rebates, there are many ancillary benefits to shooting in Arkansas: fee free filming, no fee for permits, most locations can be negotiated without paying a location fee, hotel discounts, craft services discounts, and an experienced crew base. We try to make your filming experience in Arkansas as trouble free and as inexpensive as possible. The State of New Jersey does not have Incentives or Rebates at this time.. HOWEVER..Atlantic City does not charge for permits, location scouting and has very low if any location fees. Songs have been written about it, stories have been told about it and movies have been made about it. Atlantic City is the perfect place for your next production whether for movies, television, commercials, photographic or music videos. Atlantic City is a "˜Film Friendly Community," and because of that we've taken measures to ensure that your filmmaking process is a smooth, efficient, and enjoyable one. Our 4 miles of white sandy beaches and Atlantic Ocean offers a variety of amazing looks - from our historic Steel Pier, America's first Boardwalk and 8 Casino Resorts to the back bays and marshes with all their flora and fauna. We allow cars and trucks on the beach and Boardwalk for driving shots, have ample free parking, and of course, we're the perfect spot to film a surf scene. But there's much more than just the beach and Boardwalk! We invite you to browse through the many locations available on our website; we think you'll be surprised by what you find! The Atlantic City Film Office is proud to offer free assistance for productions working within the City. 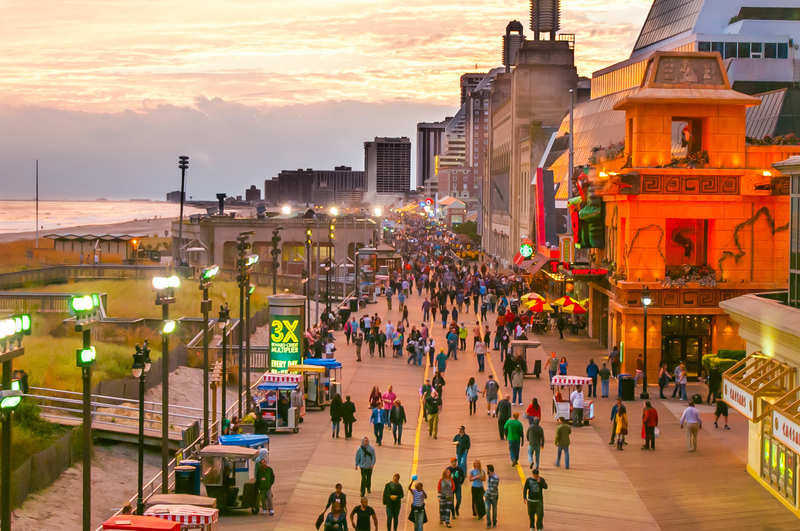 With an understanding of the filming process and a thorough knowledge of Atlantic City, we help productions take advantage of a City that has much to offer filmmakers. Administered by the Texas Film Commission, the Texas Moving Image Industry Incentive Program is cash grant based on in-state spending on feature film, television and commercial projects that offers up to 22.5% back depending on production spend. An additional 2.5% is available to productions that film in underutilized areas. 70% of paid crew and paid cast (including extras) must be Texas residents. 60% of total production days must be completed in Texas. Administered by the City of Austin--Economic Development Department, the Austin Creative Content Incentive Program offers incentives of up to 0.75% to qualifying film and television productions. 0.50% of wages paid to local residents (Austin Metro Area). 0.25% if the project is produced by Austin-based company or promotes Austin. Productions must first qualify for the Texas Moving Image Industry Incentive Program. Production companies may use tax exemption on items rented or purchased for direct use in the production of a motion picture, television and commercial project. Refund on the hotel occupancy tax for hotel rooms occupied for at least 30 consecutive days. The Hotel must be notified at check-in for the tax to be waived at checkout. Refund of taxes paid on gasoline used for off-road machines like generators, boats and tractors. The Austin Film Society annually awards grants to emerging film and video artists in the state of Texas through the AFS Grant Program. Since 1996, $1.6 million in cash has been give to to over 421 film projects. In addition to grants for production, post-production and distribution, AFS also provides stipends to filmmakers traveling to film festivals through their Travel Grant program. Austin is a leading destination for independent and large budget films as well as television & commercial productions. Professional Crew: Austin's talented crew base will give you more production value per-dollar spent. Diverse Locations: Austin has hill country, lakes & farmland all within 30 minutes of downtown. mericana: Austin is surrounded by small towns time has forgotten, perfect for a period piece. Weather: Austin's mild climate provides over 300 days of sunshine a year. Permitting: Austin's local government supports filmmakers, providing free right-of-way permitting. Facilities & Vendors: Austin has the infrastructure for production, including studio space and equipment suppliers. The Baltimore Film Office provides exceptional service to all productions scouting and filming in Baltimore.